On Saturday 7th February nine couples came for a day on marriage preparation. The day was designed to minimise any undue fears, and to think about the joys and challenges of lifelong marriage. This was aided by fine coffee, a ploughman’s lunch, a puddings feast and wine. We learnt how each couple met (from the Lion Pub to Pagham Yacht Club) and heard what people’s hopes and fears were for the wedding day (such as the weather, or saying the right things). We had a walk-through of the wedding service and Ann, our organist, took us through wedding music options. 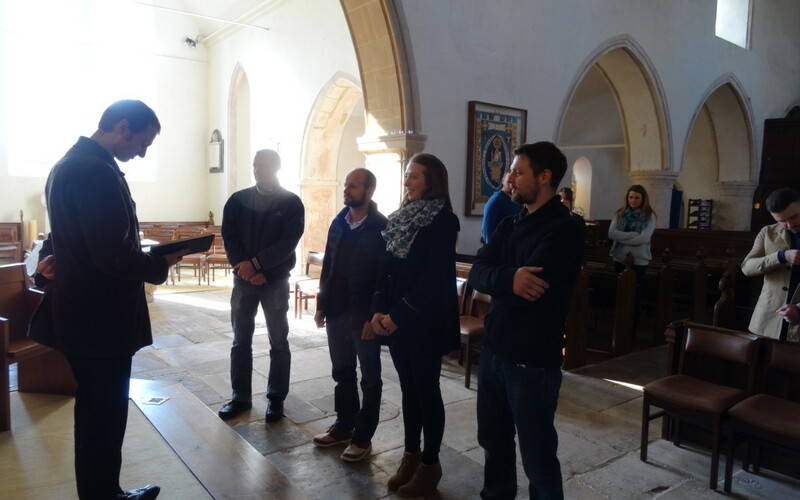 We also heard the inspiring story of two of our church family members’ married life together. A fun and useful time was had by all and we wish Pagham’s wedding couples of 2015 a joyful day when it comes, and thereafter a happy marriage!